MMA, or Mixed Martial Arts, is a popular combat sport that incorporates stand-up striking martial arts, as well as wrestling and ground-based grappling martial arts. A skilled MMA fighter trains heavily in all of these facets. 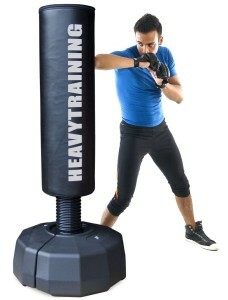 Heavy bag training is incorporated in both striking training, like traditional boxing or Muay Thai workouts, and also ground striking, or “ground-and-pound” workouts. 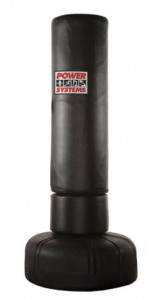 Below we review some of the most popular MMA punching bags. specifically with MMA fighters in mind. 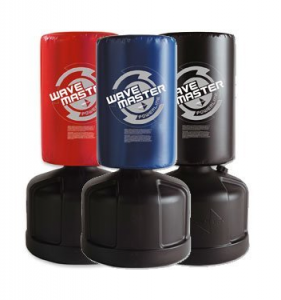 A common issue for MMA fighters doing heavy bag training is that the filling tends to settle to the bottom of the bag, which makes the bag too hard to kick or knee effectively without risking injury. 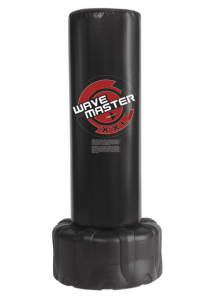 The Omnistrike MMA punching bag addresses this issue by wrapping the bottom third of the bag in C3 foam, which is more than ideal for kicking and kneeing. 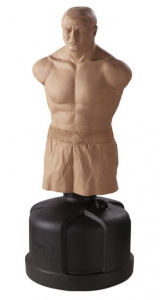 There are also two handles on either side of the bag which can be grabbed on to for kneeing purposes, simulating a Thai clinch. This bag is a good weight for wrestling drills that involve picking up the bag and carrying it any distance. 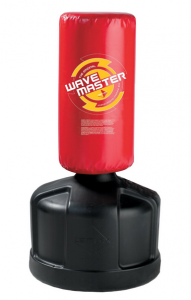 If you put the bag on the floor, C3 foam acts as a good target for ground-and-pound. 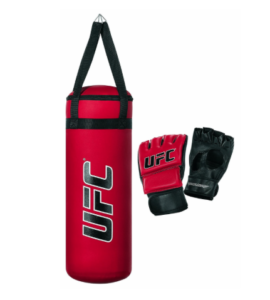 This bag is an exceptional piece of equipment for MMA fighters because its multiple, dynamic uses and well thought out design. 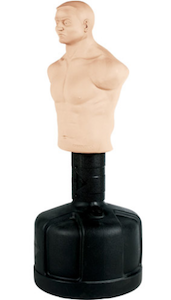 It addresses every dimension of an aspiring MMA fighter’s game. 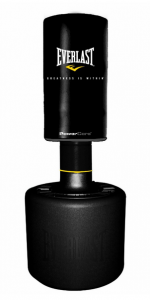 We heavily recommend it for serious fighters and fitness users alike. 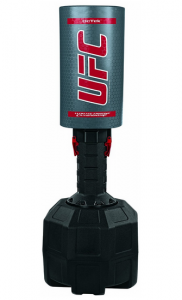 There are not many other MMA heavy bags that can compare. 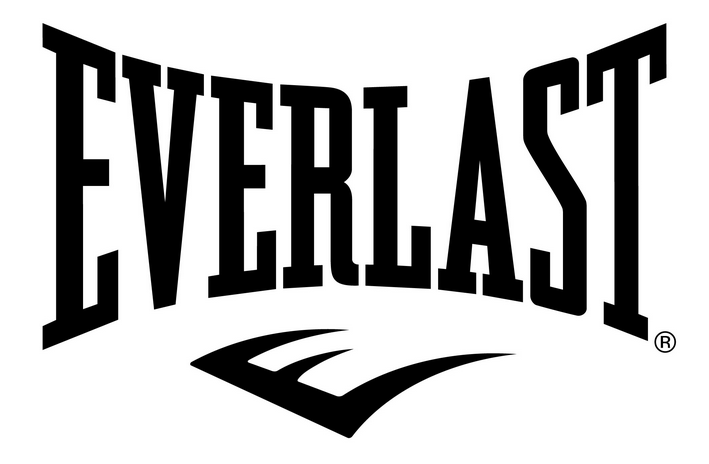 The Everlast Poly Canvas MMA martial arts bag is a slightly lighter than most heavy bags that you might find in a standard MMA gym. It comes pre-filled with a specially blended mix of synthetic and natural fibers. This means that it has exceptional shock absorbency. This shock absorbency, combined with its highly durable synthetic poly canvas, means that it will maintain its shape and should last a very long time. 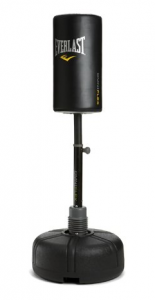 There is a significant amount of give when you hit this bag, which can help prevent injury. 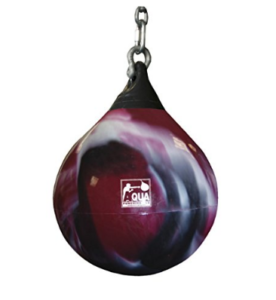 It’s a good choice for MMA fighters who are working on their kicks and knees as it is more forgiving than a heavier bag that has less give. However, it is important to always wear gloves while punching a heavy bag. 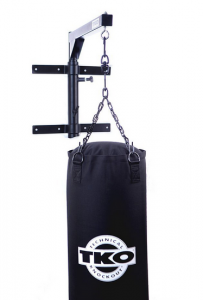 This bag comes with adjustable heavy bag chains for hanging. 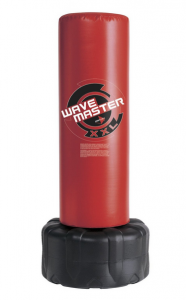 This MMA bag is an excellent size for children who are getting into martial, as well as lighter weight fighters, as it provides little resistance. We would also recommend it to recreational users who are not concerned with their power and are just looking to improve their fitness. We would not necessarily recommend it to heavier fighters (160 lbs and up), who would likely require a heavier bag in order to properly develop their striking power. 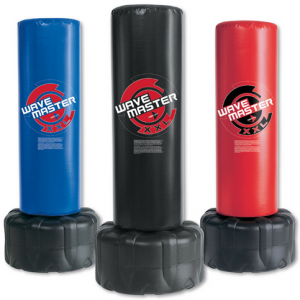 It is, however, a good size for MMA wrestling drills involving lifting and carrying a heavy bag over any distance. This Century heavy bag is constructed of heavy vinyl. 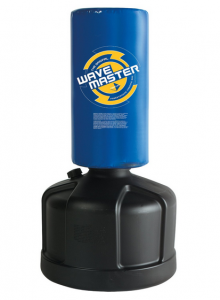 It comes pre-filled with shredded cotton and polyester fibers, and weighted with sand. It is not packed too tight, but the filler has the tendency to settle, although not that much. It weighs in at 100 pounds, which is a pretty standard weight bag that you might see in any MMA gym. It is 52 inches tall and has a large diameter of 16 inches. 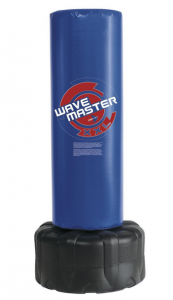 These dimensions are moderately larger than a standard boxing heavy bag, giving it a bigger striking surface, which is good for kicking purposes. It comes with adjustable chains ideal for hanging, connected to the bag by reinforced sewn web straps. The combination of the vinyl shell and the fiber filler makes this back more forgiving than most heavy bags of equal weight. 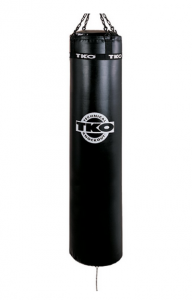 In addition to punches, the smooth striking surface makes it an excellent choice for developing power in kicks, knees, and elbows. 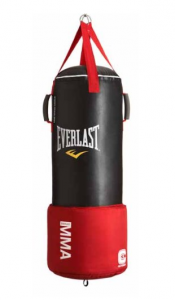 Of course, it is important to always wear gloves while punching a heavy bag in order to protect your hands..This bag should only be used by adults, as it is probably a little too heavy for use by children. 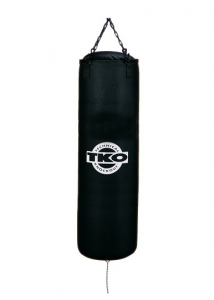 It is a fairly basic heavy bag without any extra features or flash, which is fine with us. The bag is very functional and serves its purpose well. 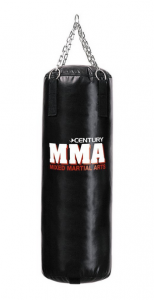 This bag is essentially the same bag as UFC MMA training bag (which is also distributed by Century), however it can usually be found at a significantly lower price. 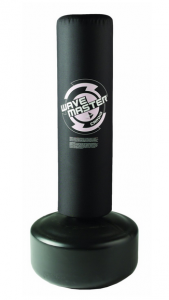 We recommend it to fitness users and MMA fighters alike. 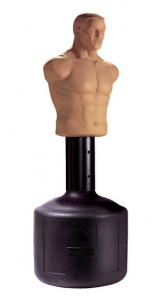 Definitely read the other reviews on this site for more information about the best MMA punching bags. We cover bags from top companies like Everlast, Century, Title, Ringside and more. You can also visit our interactive chart where we list the specs of over 30 of the top training bags.